Get clusters up and running in seconds on both AWS and Azure CPU and GPU instances for maximum flexibility. 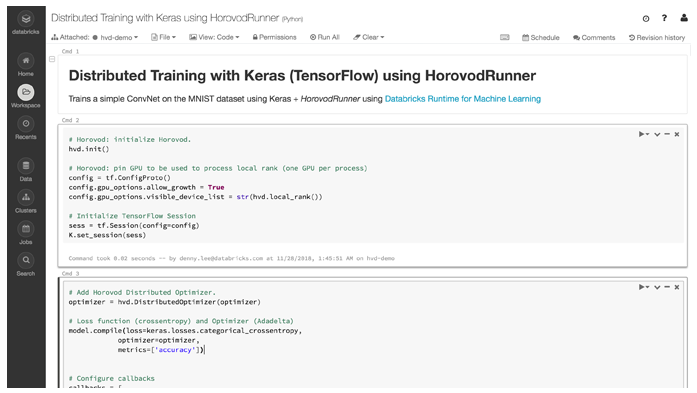 Get started quickly with out-of-the-box integration of TensorFlow, Keras, and their dependencies on Databricks clusters. Benefit from a range of low-level and high-level APIs to train cutting-edge neural networks using TensorFlow, Keras, and Apache Spark. 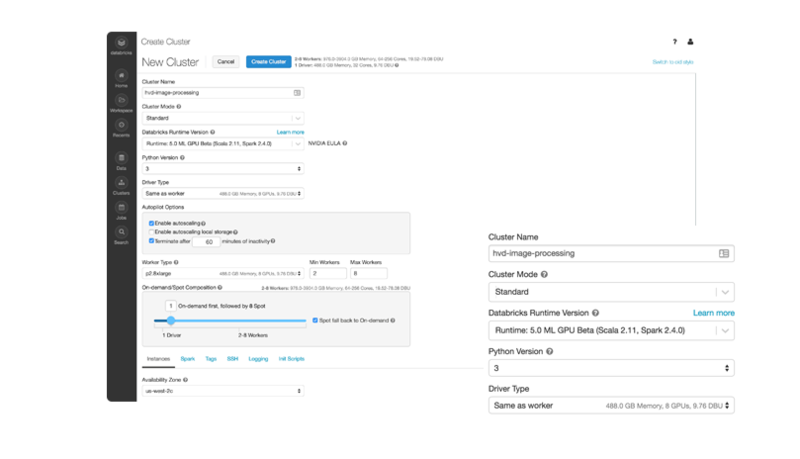 Easily scale-out computation on Apache Spark Dataframes in a distributed fashion with the new Databricks HorovodEstimator. Benefit from accelerated hardware support (CUDA and cuDNN) for greater performances on the most demanding jobs. Automatically scale resources based on your needs, and keep costs under control by separating storage from compute resources. Easily access, explore, and prepare high-quality data sets, in batch or real-time, and at massive scale. Share notebooks and keep track of changes with version history and Github integration, using Python, R, Scala or Java. 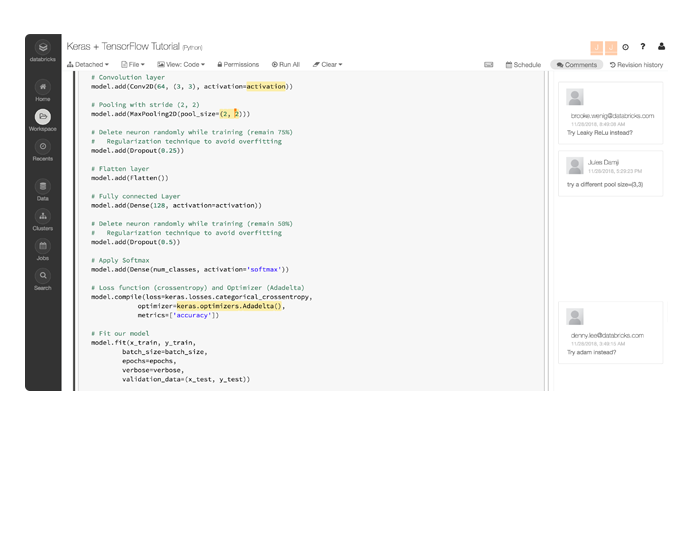 Share, run, and keep track of experiments locally or in the cloud, and deploy models on any platform with MLflow.